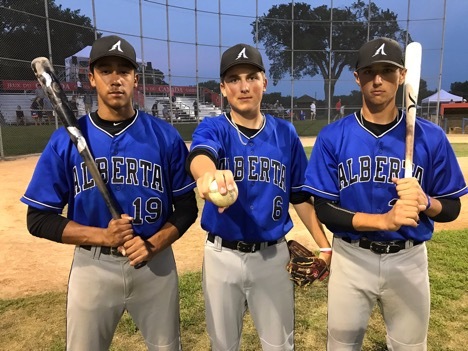 Alberta 9 Québec 5 - Alberta's offensive juggernaut continued to roll in this one as they belted out 11 hits including a solo home run from Jacob Libbus to come away with a 9-5 win over Québec to wrap up first place in Pool A. Five different Alberta hitters recorded an extra base hit while Chris Thomson earned the win on the mound with four solid innings of work with one strikeout. Alberta 12 BC 7 - Matthew Coutney and Michael Johnson both belted home runs as Alberta outlasted BC, 12-7. Coutney erased a 2-0 BC lead in the first with a two-run shot in the bottom of the inning before Johnson added a two-run blast as part of a three-run sixth that put the game out of reach. Brayden Cust fanned five over five innings of work to recorded the win for Alberta while BC starter Madjik Mackenzie took the loss. 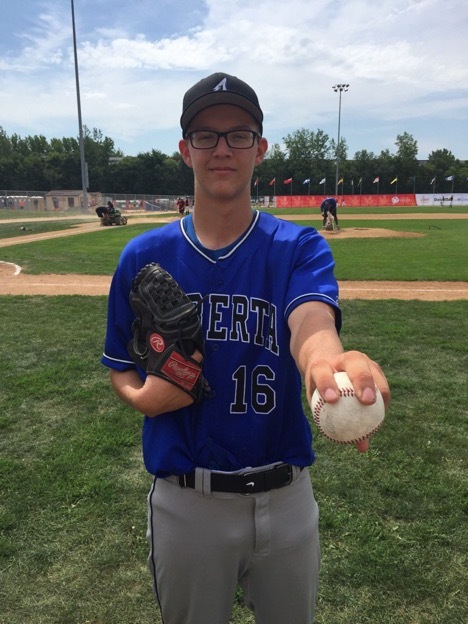 Alberta 6 Québec 4 - A three-run first inning highlighted by a Matthew Coutney two-run triple paved the way for Alberta who hung on to defeat Québec, 6-4. Alberta built a 6-0 lead after three and received a save from Liam Froment who allowed just one hit in 1.1 innings. Québec's Jason Begin went 3-for-4 with an RBI in the loss. Alberta 12 BC 2 - Branden Woods turned in a complete-game effort on the mound in leading Alberta to a 12-2 win over 2013 Canada Games champion, BC. Woods carried a shutout into the sixth before BC's Damiano Palmegiani belted a solo home run. Alberta received a three hit, three RBI performance from Justin Breen while Matthew Coutney and Cesar Valero had two hits apiece and drove in two runs. Saskatchewan 3 Alberta 2 (8 innings) - An extra innings thriller saw Saskatchewan plate two runs in the top of the eighth and hold off a charging Alberta in the bottom half to come away with a 3-2 win. Starting pitchers Brendan Logan from Alberta and Saskatchewan's Brody Frerichs were magnificent with Logan tossing seven scoreless innings while Frerichs allowed just one hit over 5.2 innings.